Binghamton Networks maintains a very high level of security on our web servers. We are vigilant in applying the latest in Microsoft security patches as soon as they are released. Some of the software we use and methodologies we follow are outlined below. You'll not find a better web site backup plan in the industry! Your valuable web site files are backed up weekly to a single ZIP file, and finally monthly and stored off-site on recordable DVD. Any database files you use are included in the backup of course. Restoration of backed up files is free. You can even request a complete backup file be emailed to you for your own safe keeping at any time - just ask. Plans like this can cost hundreds of dollars per month with some hosts. With EFX internet your comprehensive backup solution is included in your Managed Web Site Hosting package. Virus scanning provided by Symantec's AntiVirus Corporate Edition to protect against malicious uploads and hacker attacks. Server-based email scanning catches most virus infected email before they reache your Inbox. Additionally, EFX internet WebMail is fully protected by AntiVirus as well. The use of industry leading Cisco Catalyst 12000 routers and switches insures network performance, scalability, manageability and high-availability so your site stays connected 24/7/365. Most medium and large size corporations rely on Cisco enterprise network solutions to enhance performance and provide seamless service. All of EFX internet's servers are built with ample RAM, storage, and processing power to insure exceptional performance and stability even under heavy load. EFX internet's primary web server is an AMD Athlon64 X2 4200+ with 2 Gigabytes of ECC RAM, two 250GB hard drives in a RAID-1 setup and a true 100Mbit connection to the Internet. We Moved To A New Datacenter in 2007! In 2007, EFX internet moved to a brand-new state-of-the-art datacenter with 20GBit connectivity to the internet. 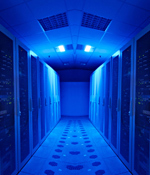 It is one of the premiere datacenters in the central United States.